Head over to Loft on Lake on Sunday April 22nd with cash and a list of items you may need for your upcoming wedding! If you're out for a walk dogs are welcome inside! Tickets will not be pre-sold. General admission (10:30am - 1pm): $5. Early bird admission (10am - 10:30am): $15. Buy or Sell items from your wedding at the Recyclery event at Loft on Lake, on Sunday April 22, 2018! This event is organized every year by the Green Wedding Alliance (GWA) and hosted by Loft on Lake Annually. See GWA page for the Great Wedding Recyclery or See photos from past events below! UPDATE!!!! All tables for the spring event are SOLD OUT!! Every year, 10,000 people are diagnosed with multiple sclerosis, an incurable illness that affects everything from mobility to vision to your senses. Like many of you, we know someone affected by this disease and want to help find a cure. That's why @loftonlake is hosting this amazing event at our venue on Thursday, April 19. “Spring for a Cure” directly benefits the National MS Society so continued research and advancements can be made. You can get your tickets now! Link below. Hope to see you there! See Photos from this event and stay tuned for 2019! Join us for the 1st annual West Loop Wedding Walk! Calling all newly engaged couples! The venues of the West Loop are excited to bring you the first annual West Loop Wedding Walk. Spend the afternoon visiting all the unique and amazing venues in the West Loop while enjoying food & drinks, activities, and meeting tons of Chicago's wedding vendors! Trollies and transportation will be running between all venues. How it works: Start at any location you wish, and head to the next location all at your own leisure. Tour the venue and meet vendors. When you are ready to head to the next location, trollies and transportation will be stationed to take you to the next venue. No worrying about parking in multiple locations or taking public transportation between venues, we have got you covered! - Access to wedding vendors - florists, photography, DJ, Makeup artists, bands and more! - Additional incentives, goodies, and more! Registration is required to attend. Tickets must be shown at each location to gain entrance. The Allure Fashion Show started as a fundraiser to support a non-profit organization fighting human trafficking in Chicago, called Traffick Free. The first benefit fashion was so successful that it has been brought back by popular demand with our Second Annual Allure Fashion Show! 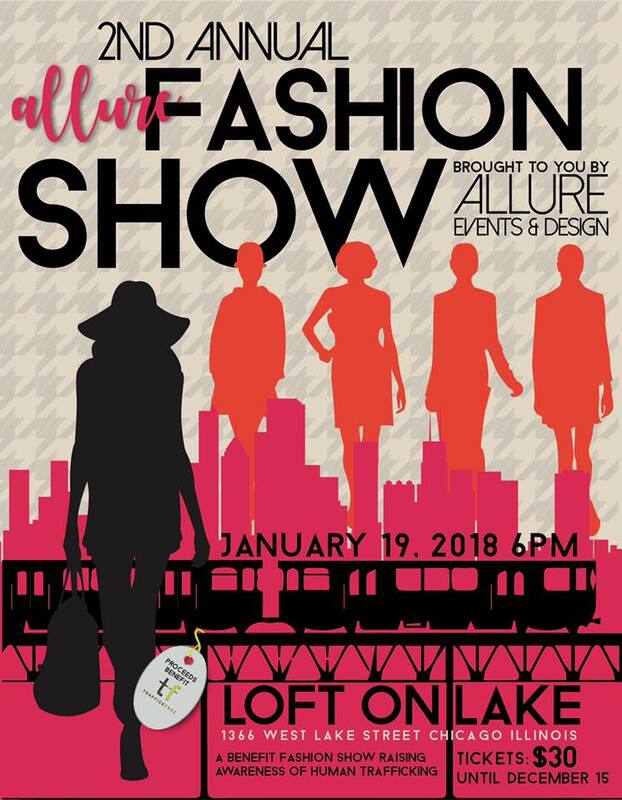 The Second Annual Allure Fashion Show will feature some of Chicago's best designers, boutiques and models. Arrive at 6pm to enjoy the Sip and Shop hour! This will be a fun night of eating, drinking, shopping, followed by an amazing fashion show! The purpose of this fundraiser is to highlight the issue of human trafficking and provide awareness. The show will always take place in January because that is human trafficking awareness month. Proceeds from the tickets sales of the show are donated to Traffick Free to help them meet the demand in helping victims and survivors that find a safe haven at their drop-center. Join us for a fun and memorable night! We will be announcing the designers and boutiques within the next few weeks. Visit our website for more details about the organization and the fashion show: www.traffickfree.org. 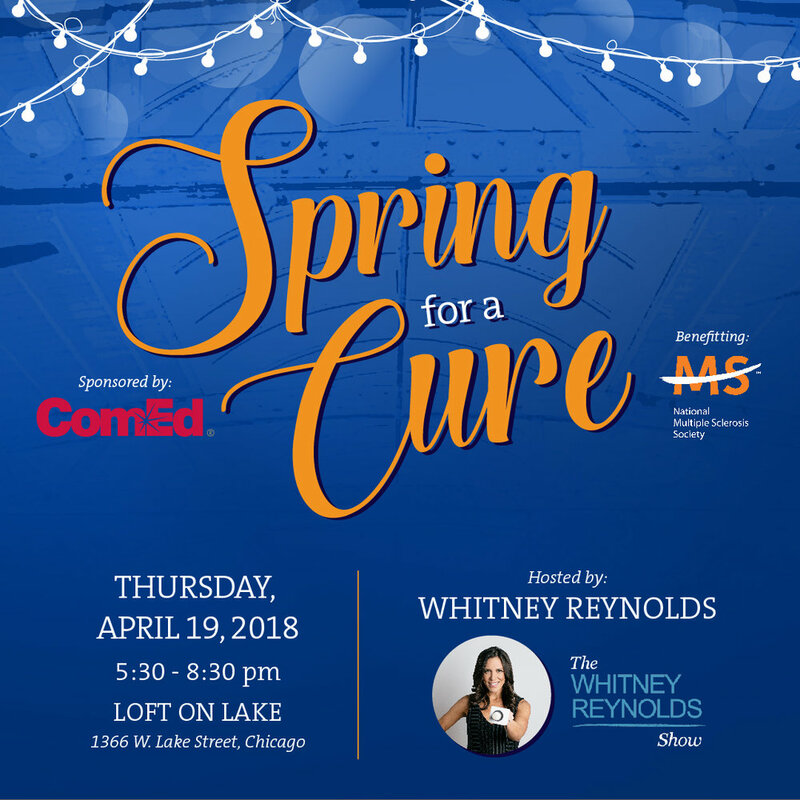 Thank you to our sponsors: Loft on Lake, Lettuce Entertain You, 3 Forks Restaurant, Barcocina, You and Company Event Rentals, Wines of Humanity, Chill Chicago, Mary Kay, and The Tea Bar. **Ticket price includes: Shop & Sip hour with some of our designers from 6pm - 7pm (two drink tickets per person and each subsequent drink is $5 each).